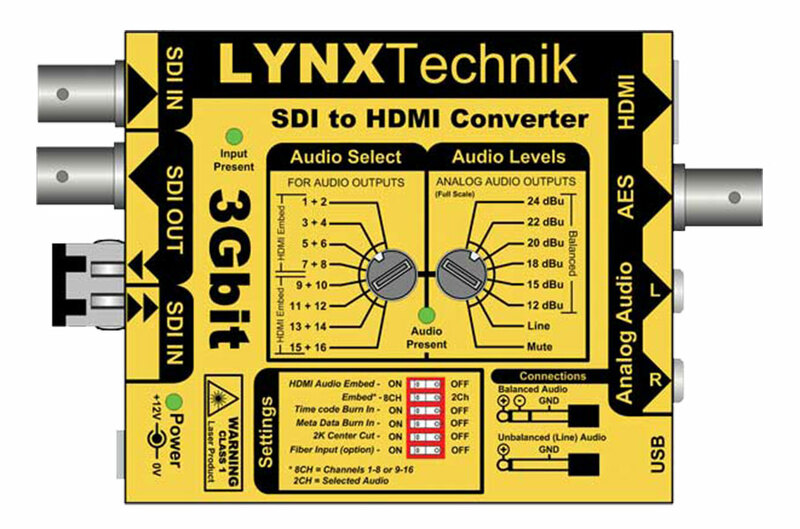 Lynx Technik AG is a German company specializing in the development of high quality products for the professional and broadcast market sectors. A multi-talented Engineering team has decades of accumulated experience in the broadcast and post production fields and have been recently honored with individual engineering Emmy awards for outstanding engineering achievements in this field. The greenMachine is a new concept of a video and audio processing platform. The processing hardware is a generic processing unit with a certain set of in and outputs and processing power. By installing the different APPs the greenMachine units can be turned into a tailored processing unit to fit exactly your requirements. The greenMachine can be used as a stand-alone processor or as a system processor that is controlled and monitored either by the greenGUI software or via a third party master control software. Complete range of modular brick products, utility, basic fiber and CWDM fiber solutions. Everything written right on the module – no manuals needed. 19″ rack mount solutions withe central and redundant power. Series 5000 is a rack based terminal equipment solution which is user configured with any mixture of CardModules. Testor is a versatile SDI audio and Video Test Generator product line which provide a host of video and audio test and verification features. Form the original portable hand held “Testor” and new “Testor | lite 3G” test generators to our card based model designed for the Series 5000 chassis. The APPolo control system software can be configured to run in simulation mode. Now you can test drive the software and see how intuitive and easy to use it is. The simulated system has all of our current Series | 5000 CardModules spread throughout multiple simulated racks.